A wetroom is just a tiled shower space that’s fully open? Well pretty much, but that’s not the whole story. While most wetrooms have a tiled floor that replaces the normal shower tray, not all are ‘fully open’ to the rest of the room. In fact, most have a glass screen to stops water soaking everything while maintaining that walk-in, airy showering experience. Screen or no screen, wetrooms offer a luxurious experience that’s perfect for modern lifestyles. When it comes to conjuring up a sense of space in interiors, less is always more. So because you won’t have a bulky shower enclosure, your room will feel a lot more spacious. And by their very nature, wetrooms are ideal for trickier spaces – perfect, for example, if you’re converting a smaller room into a stylish en-suite. While we’re big believers that you should design your home around you and your family, it’s undeniable that a brand-new wetroom will add value to your house. It will turn the heads of any future would-be buyers. The most tedious household chore? Cleaning your bathroom, period. But with a wetroom, scrubbing your space becomes a pleasure – no, really! They’re just brilliantly practical and no enclosure means no fiddly doors to keep clean. After all, who honestly enjoys mouldy mildew? Our hot tip? Add a hand shower if you can – they make rinsing the tiles and glass screen a doddle. Why splash out on a boutique bolthole when you can have a stylish, spa-like space at home? By their very nature, wetrooms have a luxurious, airy ambiance; add in oodles of hot water and some scented soaps for a shower that’s both refreshing and relaxing. It’s easy to be seduced by the super modern aesthetic of wetrooms, but you shouldn’t overlook their practical benefits. As the floor tiles seamlessly continue into the shower, there’s no step up – so no trip hazard, in other words. We like to think of this as effortless luxury for modern living and it’s perfect if you’re elderly, disabled or have small children. Tempted by the benefits of a contemporary wetroom? Great! Now it’s time to roll up you sleeves and get to the nitty gritty. As with bathrooms, creating your perfect shower can be pretty complex but don’t be overwhelmed – we’re here to help. Here’s a few things to do before making any big decisions. 1. Think about your current bathrooms and your lifestyle. For instance, if you’re a lover of long soaks then removing the tub is a no-no, so why not convert a smaller room into a wetroom? Now consider the practicalities of the space; would a glass screen prevent the rest of the room from getting wet? 2. To help narrow down the style you like, start making moodboards of designs and colours you like – Pinterest is a great place to collate ideas and images. Wetrooms should feel modern and airy, not dated and boxed-in; so look to conceal pipework and remember that sticking to one uniform colour will give that minimal, hotel-style effect. 3.. Forgive us for stating the obvious, but it’s a wise idea to set a budget and time frame. From our experience, fitting a wetroom takes around two to three weeks but you may need to allow longer, especially if you’re converting from another room. 4.. Even if you’re a seasoned DIY-er, some things are best left to the pro’s. Wetrooms are one of the most complex projects you can undertake, so insist on using a plumber with experience – the trays in particular can be a little tricky to install. Be sure to ask for references of recent work and agree on a payment schedule before committing. It goes without saying that the pipes and valves are the nuts and bolts of any bathroom! Before making any style choices, there’s a few things you’ll need to bear in mind. The key consideration in your new wetroom? Sadly it’s not which rain shower to plump for; instead it’s the location of your waste pipe. This carries waster water from the basin, loo and shower and you’ll usually need to design your layout around it. In addition, if you’re refurbishing an existing bathroom it’s probably best to keep the toilet in its current spot. Although many of us dream of a deluge of water from a rainfall shower head, it’s not always possible. So before picking any brassware, you’ll need to know if you’ve got a high or low pressure system. Some showers will need a minimum water pressure to work properly – if you’re not sure, it’s best to ask your installer. And If you don’t have a combo boiler – which produces hot water on demand – you’ll want to make sure you’ve got enough storage. After all, you don’t want to run out during the morning shower rush! Sure, thinking about drainage might be a little unsexy but then again, who likes a flooded floor? Certainly not us. The most popular way to build a wetroom is by using a formed shower base with a build-in gradient towards a drain. Your tiles are cut and placed to follow this slope, so that the water quickly runs away. It’s pretty straight-forward but if you’re installing a power shower it’s best to check the flow-rate of the drain. After all, you don’t want water pooling up around your feet! The classic way to work a wetroom is by having a fully flush floor so there’s no step into the shower. This is the perfect marriage of sleek looks and practicality, but it’s not always possible. In some houses, the floor joists might not be deep enough to recess the wetroom tray, so you’ll have to have a step up. But don’t fret – mosaics and contrasting tiles can be used to turn this step into a standout feature. It goes without saying but with all that water, it’s vital that your walls and floors are protected. Here’s what you need to know. Most pre-formed wetroom trays are made from a rigid foam that’s waterproof and perfect for tiling onto. These are perfect for your shower space, but there’s still the question of your remaining floor and walls. For ultimate peace of mind, we’d recommend using our Delta building boards, which are made from a similar material and can be used to clad the rest of the space. Even if you use waterproof building boards rather than tiling to porous plaster or ply, it’s still essential to seal your space. Waterproof compounds can be applied to walls and floors (or just the joints if you’re using waterproof boards) to create a protective, waterproof barrier. We’d recommend applying two coats – the second at ninety degrees to the first – just for extra peace of mind. Although a fully open shower is the dream for many of us, in our experience the majority of wetrooms contain a screen or partition wall. In both cases, the aim is to contain splashes and stop water flowing all over the room. As you might expect, glass screens are the more popular choice, as they offer a contemporary and airy style. However, don’t dismiss tiles partition walls – they still offer the walk-in feel yet can section off your shower space in dramatic style. Why not clad the room-facing side in eye-catching patterned tiles? Putting any bias to one side, tiles are the perfect material for your new wetroom. At the end of the day, it’s going to be a very liquid environment; your walls and floors need to withstand this water and humidity. So it’s a wave goodbye to real wood and a no for natural stones; porcelain tiles are the ideal choice. No only are they virtually waterproof, the latest wood and stone-effect tiles look so good realistic you’d be pressed to notice any difference. For a truly modern look, continue your floors onto your walls; larger tiles will enhance the seamless style. Smaller tiles and mosaics are a great choice for the shower floor itself – with more grout joints you’ll naturally gain more traction underfoot. Call us opinionated, but we think 100% of wetrooms should have underfloor heating mats. Not only do they keep the chill off tiles, the heat will help puddles dry far quicker than usual – no-one wants to get soggy socks from brushing their teeth after someone’s had a shower! So while underfloor heating isn’t waterproof per se, it’s a really good thing to have to keep your room nice and dry. While the shower in your new wetroom is likely going to be the main event, you’ve still go the rest of the room to think about. There’s tiles and colours to think about, along with basins, storage and loos. Oh, and perhaps a bath too – confusingly, plenty of wetrooms are also actual bathrooms! Even if your wetroom isn’t your main family bathroom, storage is still just as crucial. 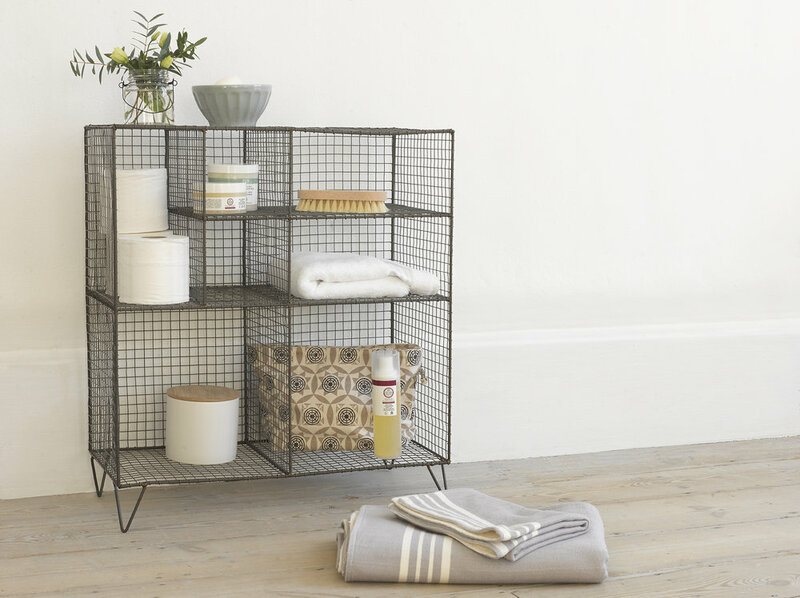 And while there’s no right and wrong, we think wetrooms always look their best when clutter free – so put on your minimal mindset and just keep the products you’ll use every day. The key is to design in storage right from the start so it’s not an afterthought. For example, niche shelving in the shower area is great for soaps and shampoos, and won’t hem you in like chrome racks. Modern, wall-hung basin units will create an illusion of space so they’re great for smaller spaces; space-saving floating toilets are also a great, contemporary choice. In the not-so-distant past, decor options for the average bathroom were pretty limited – it was more a case of function first, style second. Thankfully times have changed and there’s a wealth of designer tiles, boutique-y brassware and fresh furniture options available. But while it sometimes pays to think outside the box and go a little funky, it’s more than likely that you’ll be using your new room daily. So with that in mind, we’d stick to safer, timeless tones. However, safe doesn’t have to mean boring; in fact there’s a whole range of neutral shades that look effortlessly great. If you’re after a high-end hotel feel, you really can’t beat white marble tiles such as Timeless White. At the other end of the spectrum, dark grey concretes offer a cool, minimal style that transcends trends. At the end of the day, this is your bathroom so opt for something you love! Just remember that in smaller spaces, less really is more – clean lines, wall-hung furniture and reflective surfaces will all enhance the illusion of space. CAN WE USE PORCELAIN TILE OUTSIDE? In short, YES you most definitely can use porcelain tiles outside! When using a tile in a place where temperatures may drop to below zero, a porcelain tile is your only real option. This is because they are engineered to be frostproof. The science behind this is pretty simple. Unlike ceramic tiles, porcelain tiles are impervious to water penetration. Or put more simply, they don’t absorb water. If they were to take water in, then in sub zero temperatures this water would freeze, expand and then cause the tile to crack. And nobody likes a cracked tile. Porcelain tiles have a water absorption rate of less than 0.5% which means they’re classified by international bodies (with certificated proof) as being frost-proof. So if your patio doesn’t have underfloor heating (it’s been known!) you can rest assured your porcelain tiles will stand the test of even the harshest of winters. Unlike natural stone and timber, porcelain tiles are non porous. This means there are no little holes for dirt and grime to accumulate and attack the surface. In essence they are stain-proof and so require very little ongoing maintenance. If used outside, an occasional sweep or a clean with warm soapy water is more than enough to keep the tiles looking as good as new. Porcelain tiles come in many different types of finish from matt and semi-polished, to gloss and textured. When choosing a tile for outside use we would always recommend at least a matt finish. This means the surface has a natural finish which will offer some slip-resistance. As with any other type of floor covering, a textured surface provides greater slip-resistance and this is certainly the case with porcelain. Porcelain tiles are certified with different grades of slip-resistance depending on how how textured the surface is. Obviously the higher the rating the more the slip resistant. Porcelain tiles are incredibly dense and are fired in kilns at over 1200 degrees Celsius. This makes them tremendously hard and resistant to scratching. No need to worry about dragging a wheelbarrow across them or dropping your shopping. Once they’ve been laid they’re as hardy as materials come. If you want proof of this, take a look at the floor of most car showrooms these days. You’ll find a porcelain tile under your feet. On top of this it’s resistant to UV fading so you can be sure that unlike timber decking, porcelain tiles will not fade and loose their colour. Last but by no means least is the fact that porcelain allows you to really get the creatives juices cooking. Unlike many other floor coverings such as laminate, carpet and even engineered timber, porcelain allows you to create a seamless transition from the inside of your home to the outside. 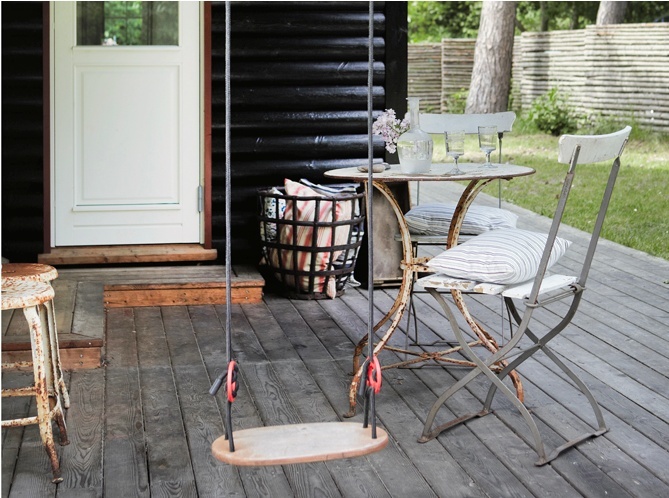 This is great if you have French or bi-folding doors opening onto a patio where the floor simply continues outside. Just think of those long summer days, hazy sunshine and BBQs galore! Shopping around for new floor tiles? While it’s easy to get your head turned by pretty planks and swanky slabs, it’s vital to remember what lies beneath, what lies under your tiles is just as important as your new tiles themselves. And while every room might be different, there’s a few tips to follow to make sure everything’s hunky dory down there. Even if you’re hiring a professional, we’d recommend reading on to make sure there’s no nasty surprises at the end. 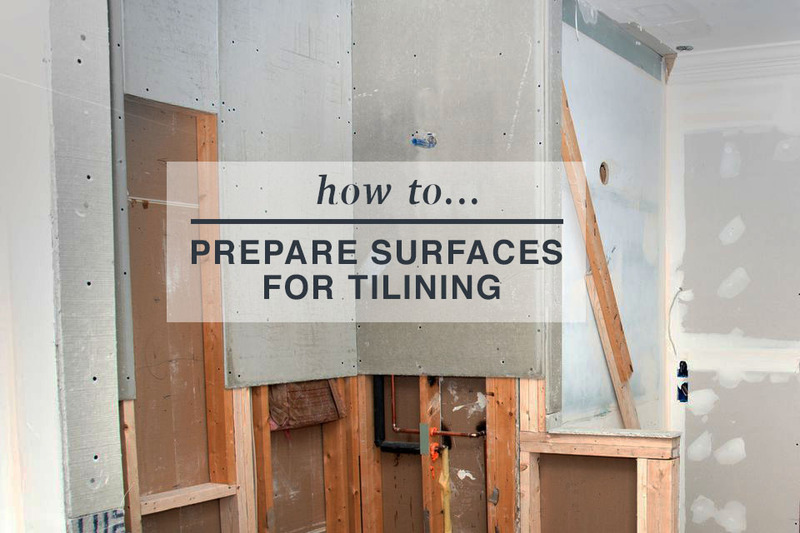 When it comes to tiling, failure to prepare is certainly preparation to fail. The number one rule is to carefully plan ahead... Think about where grout lines and cuts will fall as you’ll want your room to look balanced, door thresholds and floor obstructions will also need accounting for. Once you’re happy, it’s worth dry-laying the tiles to check the layout works. If you’re using decorative tiles, you can also play around with the different patterns at this stage. And who said tiling wasn’t fun! come and see our portfolio for inspiration! At the same time, you’ll also have to consider the build-up of your floor. Backing boards, underfloor heating mats and adhesive can easily add an inch to your substrate, before you’ve even accounted for the depth of your tiles. If you’re refurbishing a room, you might need to shave the bottom of your doors to allow for this extra height or amend the levels of any worktops and cabinets accordingly. Take it from us – tiling directly onto floorboards is a definite no-no. There’s just going to be too much movement and flex which will eventually cause your new tiles to lift or crack. You could always opt for engineered oak flooring?.. Chances are though, you’ll be working with wood, especially if you live in an older property. But don’t worry, you can still have your dream tiled floor; this is exactly what tile backing boards were made for. Tightly screw down your existing floorboards, over board with our No More Ply sheets and voila – you have a rigid, flat surface that’s perfect for tiling. If tiles like a strong and stable sub-floor, then surely concrete is the perfect base to tile to? Generally speaking, yes, but there are a few rules to follow. The existing concrete will need to be level, sound and free of any imperfections and cracks. Before tiling, brush and vacuum the surface then seal the porous surface with a suitable primer – this will help create a stronger bond with your tiles. Whether you’re refurbishing a room or working in a brand new space, you’ll need to ensure your floor is completely level. Fact – floor tiles like a base that’s flat as a pancake, especially larger plank tiles. And whilst tile adhesive can help level out any minor undulations, we’d recommend pouring a layer of self-leveller to smooth out larger gaps and bumps. It’s also great if you’re planning on fitting underfloor heating mats; by burying the cables you’ll gain a flat surface for tiling and remove any chances of potentially damaging the wires. At the risk of sounding like a record stuck on repeat, whether your new tiles are being laid onto an old wooden floor or a new concrete slab it’s vital to think about movement. Even seemingly solid substrates can shrink and expand over time and if these stresses aren’t dealt with, they can lead to fractured tiles. Traditionally, a combination of movement joints and expansion gaps was the answer but these days, anti-fracture mats are more common. These ‘uncouple’ the tiles from the floor below, neutralising any stress between the two layers. Although British Standard states that the building designer should decide where movement joints be located, we think it’s best to err on the side of caution and opt for anti-fracture mats wherever possible. Heard that one about a bad workman blaming his tools? While you’ll always want to use a good installer, it pays to make sure they’re using the correct adhesive for the job in hand. Porcelain floor tiles should always be laid with a flexible, cement-based adhesive from a reputable brand. A high performance tile adhesive should accommodation some movement and vibration, whilst offering exceptional adhesion and a choice of slow or rapid setting times. We like Ultra Tile Adhesive, theres also Mapei.. If you’re tiling a wetroom or bathroom floor, it’s vital to waterproof the substrate and seal the room. Whilst porcelain tiles are non-porous, water can seep down through the grout joints into the substrate below. For the ultimate belt and braces approach, fit DeltaBoards to your substate and tank the joints to ensure a watertight seal. Last but not least, your tiler. Choosing a good tiler, Honestly, we think a good tile fitter is worth their weight in gold. Whilst smaller tiling jobs – cloakroom splashbacks and the like – can be tackled by the DIY-er, in our opinion tiling a floor is best left to a pro. No two rooms are the same, so an experienced tiler will be able to assess your individual floor and propose the best action to take. 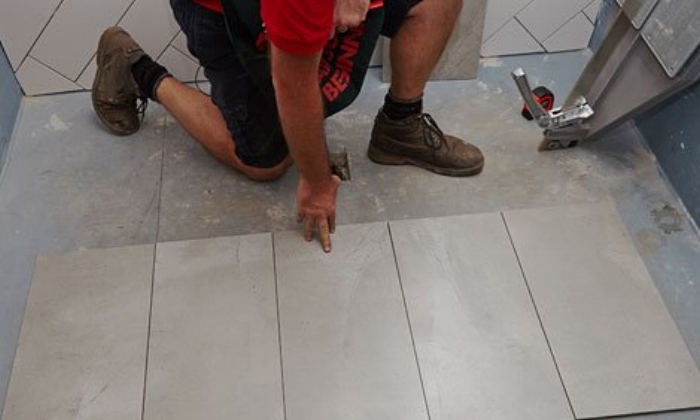 Rather than rush onto the tiling itself, he or she will take time to understand your expectations, prepare the subfloor and will be conscious of mixing tiles to ensure the best chromatic effect. What kind of underfloor heating should i get? A common question - What kind of underfloor heating should i get? Its WINTER... and the prospect of a warm floor greeting you as you enter the kitchen fills you with JOY!?! But where do i start? electric or water system? is it expensive? 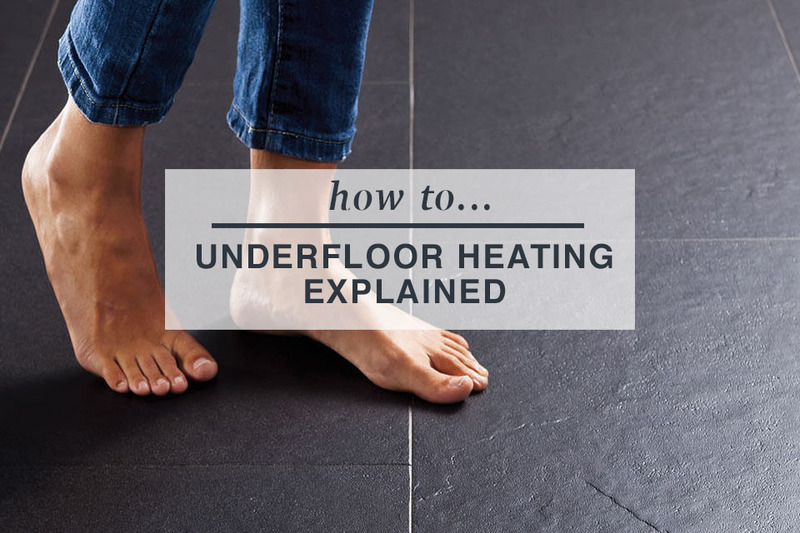 There’s a fair bit of information out there on different underfloor heating systems, so rather than take you through all of the details, lets give you a brief lowdown. Essentially there are two types of underfloor heating systems that can be used with floor tiles – electric underfloor heating and piped water (wet) underfloor heating. Both are perfect for use with tiles and in particular porcelain and natural stone tiles. Electric underfloor heating works great with these Limestones for your bathroom. These systems are perfect for use when refurbishing existing bathrooms and smaller spaces where installing new hot water heating pipes is not possible. They are relatively cheap to install and an be fitted without too much disruption, especially in single rooms. The systems come in different wattages – 100 Watts, 150 Watts and 200 Watts. The higher the wattage the greater the heat output of the mat. When deciding about which output to go for its worth considering if the system will be your only heat source, whether you’ll have other radiators, how many and how big the windows are and what’s the insulation in the room like? Wet underfloor heating systems for your kitchen or bathroom. Wet underfloor systems are great for limestone kitchen floors as they heat the mass of stone giving you a big radiator of heat! Generally these systems are cheaper to run than electric and they are perfect for new builds and large expanses. Obviously they cause more disruption to install and require more planning than electric systems so tend to be used when new houses are being built or on large extensions. They also require more of a floor build up than the thin electric cable which much be taken into account. Porcelain tiles are relatively thin compared to other hard flooring such as natural stone. Generally porcelain floor tiles are between 8mm and 12mm thick. Natural stones such as slate, travertine and marble can often be between 10 and 20mm thick. This means that the heat is able to rise up through the porcelain tiles relatively quickly. Porcelain tiles retain heat well. Due to the makeup of the material the tiles are insulating so once the heat has risen through they will retain their heat very well and keep your room warmer for longer. Porcelain tiles won’t crack due to temperature changes. When installed correctly, the temperature changes that occur with underfloor heating won’t affect the physical makeup of the tile. Occasionally movements in the subfloor due to underfloor heating can transfer to the tile or stone causing stresses and potentially cracking. If porcelain tiles are installed correctly using suitable flexible adhesives and grout, this won’t happen. Make sure your installer allows for movement joints or a decoupling membrane over large expanses of floor tiles (generally over 25m2). Your tiler should be aware that the underfloor heating will cause some movement in the subfloor and that over large expanses an allowance will need to be made for this. Flexible adhesives and grout must be used with porcelain tiles. Full stop. Unlike ceramic tiles and natural stone non flexible adhesive cannot be used . If in doubt, feel free to ask us for advice or speak to your installer. It’s important that the heating system is off when tiles are fixed and remains off until the adhesive and grout have fully cured. Different brands of adhesive require different drying times. We generally recommend waiting a minimum of 2 weeks before turning on your underfloor heating under your newly tiled floor. At the moment we sell electric underfloor heating systems and all the necessary accessories. If you need any help planning your system, working out what size kit you need or just want some advice on using underfloor heating with tiles. HOW TO FIND A GOOD TILER? A common question - How do i find a good tiler? Finding the right person for your next project can be pretty difficult. The words needle and haystack quickly spring to mind. As with all building trades, tiling is a skilled job and it’s important to ensure your tiler is up to scratch. Choose well, it could go very wrong - After all, there’s no point splashing out on those lovely stone tiles for your bathroom floor if they end up looking like a dog’s dinner. They’ll need to be replaced – a messy and expensive job – and no doubt this will delay any other tradesfolk you have lined up. And that’s never a good thing, especially when the mother in law is due in a few days time. Do I need to seal my tiles before laying them? A common question - Do i need to seal my stone floor before laying them? 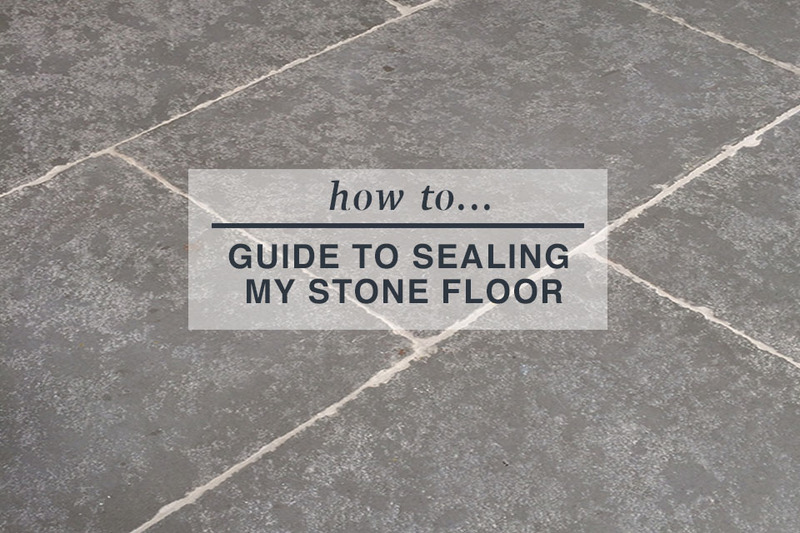 How do a seal my stone floor? A common question - How do i seal my stone floor? step by step guide to sealing a stone floor..
porous tiles - If tiles are super porous the seal them first. Flat and out of the rain and allow to soak in for a few hours or until touch dry. Normal Limestone - Lay the tiles to your floor. Be careful not to get too much adhesive on them. If you do, wipe clean as you go to save cleaning them ALL at the end. Give the tile a good clean with stone floor cleaner (www.tilefixdirect.com) and allow to FULLY dry before sealing. We like to clean at then end of the day and leave to dry overnight. Apply one generous coat of stone floor sealer. We recommend Lithphone Stainstop or LTP Matt Stone. They are both excellent sealers. Allow the sealer to fully dry before grouting. Again we like to leave the sealer to dry overnight if possible. See manufacturers guidlines to be sure. Calculate around 1 litre of sealer per 15m2. This will normally do two coats unless its very porous stone. The 2nd coat comes later. Now grout your floor. See grouting my floor. Allow the grout to fully dry. Depending on the weather and conditions of the property this can take 48 hours. You must allow the grout to fully dry for the best results. Sealing wet grout will leave your grouting looking patchy. You have spent a long time on this floor so take your time and be patient at the end... it will be worth it. Once your happy that your grout is dry and your tiles have been dusted back and hoovered, then you can apply your 2nd coat of sealer. Making sure you work it into the grout. We like to use a NEW paint roller for this. Dip the side of the roller and apply by hand with slow sweeping motions ensuring not to leave any puddles of sealer a this may leave a greasy mark. All natural stone must be sealed at some stage to protect from stains and ensure the stone looks good for a long time! Sealing the stone is part of the installation process and all our stones are supplied unsealed. There are many different stone sealants on the market and every one will have a different effect on stone and that effect will be different depending on the type of stone. All photos on our website are of sealed floors too so you are getting a good indication of the finished look within the limits of photography. • NEVER seal a floor with damp or wet grout. If you seal it wet with patches, chances are you will seal those patches in forever. • ALWAYS seal your tiles before you grout. This will prevent the grout from soaking into the porous stone. • ALWAYS seal your tiles in a dry environment. Never out in the direct sun sa the sealer will evaporate and wont soak into the tile. Ceramic, porcelain and natural stone tiles are all very different, so you must take great care in preparing your subfloor before laying your new tiles and things can go drastically wrong if you ignore these basic rules! Beginning with the best subfloor or underlayment materials for tile. Backer board is designed for tiling. 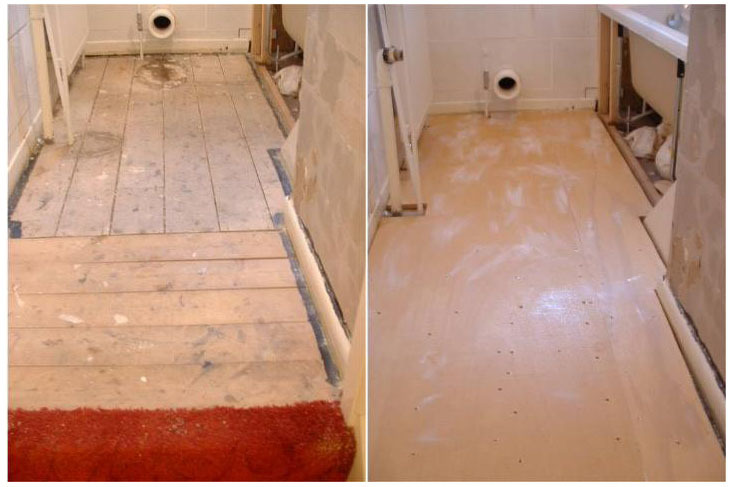 Backer board can be fixed directly over floorboards in your bathroom or kitchen floor and goes under various brand names, such as Hardy Backer, NoMorePly and others are available. See websites such as www.tilefixdirect.com and www.insulationsuperstore.co.uk for examples and advice on installing. They provide a sturdy base for you to tile onto and can also be used on walls to hang tiles onto for showers etc. Tile backer board is always a preferred ceramic tile underlayment. Exterior plywood will also accept tiles and stone, without swelling up like interior-grade plywood. Since cement board is cheap and easy enough to lay down on plywood, it makes little sense to skip this step. However, if you would like to install tiles on plywood subfloor, it is possible. If you are going to attempt the work yourself Its a good idea to check out tiling forums to get advice, (www.tilersforums.co.uk) but we always advise our clients to employ a professional tiler with experience in carrying out this work. A Concrete slab or concrete screed is a good tile underlayment. Be careful of the expansion joints. If you tile over the expansion joints, the tile will crack eventually. To reduce the possibility of cracking, use an intervening material called uncoupling membrane. See our other Blog called THE IMPORTANCE OF USING DITRA MATTING for further advice. An uncoupling mat disconnects tile from its concrete subfloor. Because concrete can crack, these cracks transmit the same to the tile above. Uncoupling membranes effectively break this transmission domino effect.. 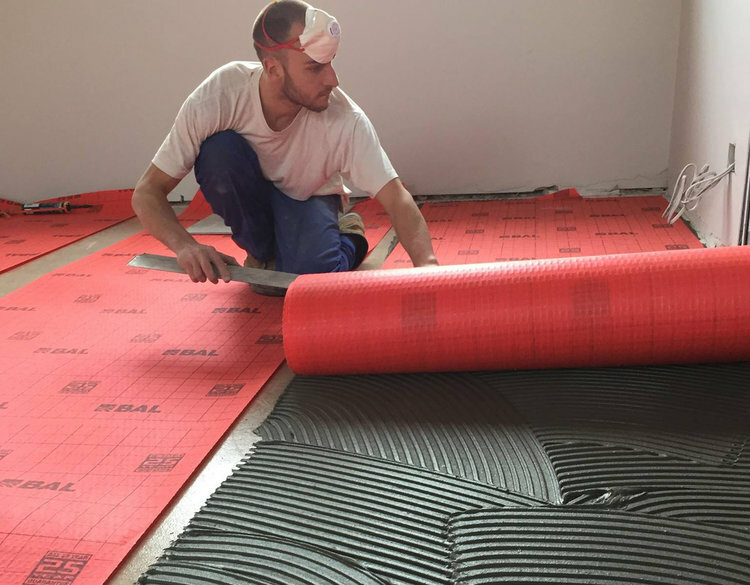 Available under the brand names Schluter Ditra or Bal Rapid mat, this product is sometimes called anti-fracture membrane, crack isolation membrane, or crack suppression membrane. Always ask your builder for advice on what kind of screed has been poured before beginning your tiling. If it was poured there is a strong chance it may be a Hydrate Screed. Hydrate Screed - Once the screed starts to dry out it will leave a milky film (latent) on the surface which 'must' be removed before any surface finishing or decoupling membrane is laid. Ask your screed company and tiler for advice here, it is really important, as you will need to apply at least two coats of acrylic primer to the screed before tiling or membrane. If you do not do this there is a risk that the chemicals in the hydrate screed or latent may react with your adhesive and prevent the tiles adhering to the screed. Something you do not want to happen! NEVER tile onto 'standard' plasterboard that has been installed in shower areas! always insist that your builder or tiler uses a backer board of some kind. Plasterboard and water dont mix! ALWAYS look for suspicious cracks in your screed or concrete slab. Consult your builder or tiler about them and question if its safe to tile over them? Use a layer of BAL Rapid mat to bridge small hair line cracks to be on the safe side. ALWAYS use good quality 'flexible' tile adhesive. Good brands are Mapei, Ultra and BAL. try Ebay for some good prices! Especially on Ultra tiles adhesive. ALWAYS prime your subfloor or walls with a suitable primer before tiling. BAL Acrylic primer or SBR and take advice of how to apply them from your builder or tiler. Buying a local or English stone for your kitchen will cut down on the carbon footprint of your build substantially!.. Especially if you are lucky enough to have a quarry local to where you live that suites the style of project you are using it for. Most English stones will be quarried, finished (Finished - manufactured, cut to size, brushed surface etc) and dispatched 95% of the time to a client in the UK. Stones from abroad travel sometimes 1000's of miles before they arrive on UK soil. BAL Rapid-Mat uncoupling matting is designed for use on floors with limited movement and floor coverings, such as tiles, that require zero movement and prevents reflective cracking caused by lateral movement, shrinkage cracks and board joints. It can be used for installing ceramic, porcelain and natural stone tiles, and concrete pavers. Timber and heated screeds can also cause movement and lateral stresses that can result in tiles cracking or de bonding. Uncoupling the floor and tile covering, by installing a separating material like BAL Rapid-Mat between the two surfaces, allows the floor to move independently and isolates the floor covering from the shrinkage and stresses in the floor. DITRA Matting is a polyethylene membrane with an anchoring fleece laminated to its underside. The matting has a grid structure of square cavities which are each cut back in a dovetail configuration. DITRA Matting is specifically designed for tile and natural stone installations. Cost of the two options? It is a good idea to shop around online to get a good price for the two mats as various companies do offer discounts quantity purchasing. The Ditra Mat tends to come in at around between £7 and £10 per square meter inclusive of vat. The Bal Rapid between £8 and £12 per square meter, so not much difference. You will also require a flexible tile adhesive to stick it down with. Speak with your tiler for advice on this. There will be an extra cost for installation from your tiler too. Your tiling contractor should have experience in laying a decoupling matting as it is very common and will probably be to advise you on purchasing and ordering the correct adhesive etc. Top Tip: Check with your screeding company as to the type of screed you have laid and ask if it requires any special primer application prior to laying matting down to it? SO Spring is in full bloom and you are starting your new kitchen project! You will be think "what is a good floor for my new kitchen?" Well you have many choices, which can be a problem when considering what to go for.... wood flooring or stone flooring and possibly porcelain tiles. We have put together a TOP 5 FLOORS list to help you towards making a decision. 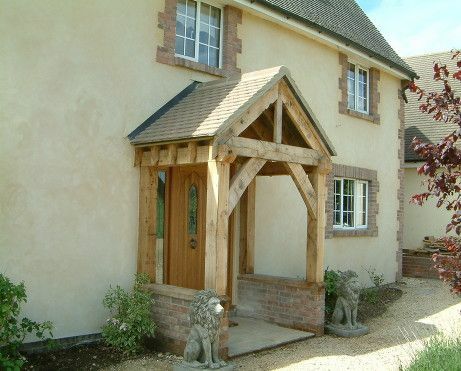 Cotswold Cream Limestone - The Cotswold Cream limestone is a one of our favourite stones. Its a very popular natural stone for the Cotswolds with its sandy tones and similar look to the local stones of the area. This natural stone is suitable for outside patio areas too, its frost tested and if you are looking for a stone to continue from your kitchen to the outside area then there is no better stone. Cotswold stone flooring in Stroud is one of the areas longest traditions and we are proud to be selling a traditional stone. So you've decided to get a new kitchen installed!?! The first thing to think about is what floor do I put in my new kitchen? We have created top 10 tips for choosing the right floor for your kitchen... need to measure your room before buying wood flooring or stone flooring you’ll need four things. Stone or Wood? - With the choice of either natural stone or oak flooring, you have the option of hard wearing stone (child and dog proof) like our Cotswold Cream which will stand up to 'anything'... or oak flooring, now boasting a platter of different styles and finishes from herringbone to aged and tumbled grey boards like Loft. Underfloor Heating? - Stone or oak flooring, there is the option to install UFH. Electric UFH at a cost of around £65+vat per m2 installed is a great option for areas under 20m2, it will heat a room very nicely and eradicate the need for radiators, feeing up valuable wall space! Installation - Which ever floor you choose, its really important to hire a professional to install your oak or stone. We advise a specialist tiler for installing stone tiles. Fitting cost: Labour for fitting stone tiles should be around £35-45m2. Check their work and portfolio if possible. Spending in excess of £5000 on your tiles and materials, you will want to know that your fitter has experience. A carpenter with experience will know how to lay oak flooring, but herringbone will require a specialist. Fitting cost: Labour for fitting oak flooring should be around £25-35, and oiling may be extra if the boards are unfinished. Herringbone fitting can be £50m2 depending on size of herringbone. Be adventurous - You may be planning a simple shaker style kitchen, slick lines, pale tones, so why not consider something wonderfully exciting for your floor?? Forget beige, and cream this time, maybe go for something like marble or a wild limestone like Camila Grey limestone which has fossils and quartz in it! Take some advice from your kitchen designer on being brave with your floor! Ask for advice - Knowledge is power they say.... SO, ask for advice on every corner, and keep a little note book to write it all down. Ask about how the floor is made, where its made, is it FSC rated timber? is it first or second grade stone? What is the wear layer of oak on the engineered board? Is the backing on the engineered board plywood or softwood? (plywood is good, softwood is cheap) The more you learn about the floor you are considering the easier it will become to make a decision. Plan ahead - Allow lots of time for your choosing your new floor. Most projects will be around 6 weeks in the future from choosing a floor. Things that may need to happen in the meantime are: 1) Floor screed drying time - If you have had a new UFH system installed, the screed will take a long time to dry! 1mm per day normally. No tiles or wood can be laid onto that floor until its fully dry, so allow lots of time. 2) Stock - If you choose a floor and your project is 6-8 weeks off laying, consider paying for the stone/oak and asking for it to be stored until you need it delivered. This way its paid for, one less thing to worry about and more importantly 'in stock' for when you need it. 3) Book your installers in advance, they will get busy and wont be available at the last minute. Allow 4-5 weeks in advance for good installers. Use quality installers! - Always use a quality installer either supplied or recommended by your flooring supplier! we cannot stress this enough.. Your 'builder' may offer to lay your new stone/oak floor, but always question wether they have the expert experience to carry out the work? Some builders 'will' have the experience, however, there are expert floor fitters out there who only lay floors, they have all the specialist tools and kit for the job and in many cases years of experience. So, get references, and ask to see their portfolio if they have one. Ask around too, your friends may have sued someone locally..
Look after you floor - So your new floor is in and it looks fabulous!!! Now you can enjoy your floor for years to come.. as long, as you look after it and take care of it. Use stone floor cleaning products only for your floor, never use household cleaners which may have bleach in them. Visit www.extensive.co.uk for stone floor cleaning products and advice. There are oak flooring cleaning kits around which are great, and have mops and pads included. Bona and Osmo both produce kits so shop around online. So you need to measure your room before buying wood flooring or stone flooring you’ll need four things. And a friend! to help make it easier, and FUN! B) An L shaped room - If your room is L shaped, split it into two rectangles as above. Then measure the two rectangles as before and add them together. Adopt this method for rooms which may need splitting into more bite sized sections and simply add them together. Adding extra 8% for cuts and wastage - The 8% rule should be taken into consideration before you order your flooring. If your floor area measured 12m, (as above) then add 8% which comes to 12.96, and round it off to 13m2. This takes into account cutting around doors and into corners of rooms etc. If you dont add this 8% then you will run short at the end of the job.. Sometimes 8% may not be quite enough and you may need to order a little extra. For example If your room is a complicated shape and nooks and alcoves then aim for 8-10% extra. Its a good idea to speak with your installer for his/her advice. 1. Always measure in meters as this is the language spoken by flooring companies and installers who will be putting together an installation quote. Your m2 measurement will also be used for working out how much glue, adhesive, grout and oils etc you will need for the job. 2. Always add 8% to your total measurement for wastage and cuts. 3. Don’t forget to make allowances in your measurements for fireplaces, alcoves, recesses and cupboards. 4. If in doubt, ask your flooring supplier for advice. Laminate vs engineered vs solid: A laminate is a piece of plastic with a photographic image of wood grain, mounted on MDF. They cost as little as £5 a square metre and although scratch-resistant, once damaged are non-repairable. Engineered flooring has a veneer of real wood, usually 3-7mm thick, that can be sanded up to five times. It is particularly suitable for use over concrete floors and in kitchens. Solid wood is one piece of wood from top to bottom. As it needs to be nailed to a permanent floor, a concrete base is a problem. Some newer floors can be floated on underlay. The extras: Foam underlay starts at around £1.50 per square metre rising to £3-4 if you need sound-proofing. A damp course membrane (about £20 per room) may be needed on concrete floors. The big sting is wood trim if you're not prepared to lift the skirting boards and run the floor under. It costs around £10 a metre, or about £120-£150 for the standard living room. Delivery costs are typically up to £50. Fitting: Most laminates are sold as do-it-yourself click-together products. Laying engineered or solid wood requires a high level of DIY competence. But fitters are very pricey; the rule of thumb is to take the basic price per square metre and double it once fitting and accessories are included. At £30 per square metre, a wood floor in a 5m x 4m lounge would cost £600. Add fitting and it soars to £1,200. The grades: Most real woods are sold under "grades" describing its look rather than durability. "Rustic" tends to be most popular. Select or prime grade has the fewest knots and defects and the highest price to boot. The strips: Engineered real wood is sold as one-strip, two-strip or three-strip, and in differing lengths. The main difference is the width of the wood; three strip is the narrowest. Single strip (or plank) is the most expensive. Longer lengths also go for higher prices. Unfinished or finished? Unfinished floors give you almost unlimited colour stain options. But they must be sanded and finished after installation, which typically puts the room out of service for several days. Pre-finished floors have a factory-applied finish, so the room can be used within hours of installation. Lacquered or oiled? Lacquered floors have an acrylic varnish which gives them a sheen and makes them relatively easy to clean. Oiled floors are becoming more popular, looking more "authentic" but need to be oiled twice a year, depending on the wear they receive. They also cost about £2-£3 more per square metre. Do you need an "expansion" gap? Yes. A 10mm gap around the perimeter of the room must be left to allow the boards to expand and contract. If you don't, it may buckle or leave gaps. Bathroom floors: Most manufacturers caution about laying a real wood floor in a bathroom, particularly beech, which is more sensitive to moisture. If the room tends to get very wet and humid, solid wood is likely to be inappropriate. Laminate or lacquered engineered floors may be more suitable. Don't leave wet bath mats and towels on the floor. Kitchen appliances: You should install flooring under kitchen appliances, but be careful when you slide the appliances over the floor. Toilets: It is not advisable to fix any object through a floating wood floor. So its winter and you are coming into the house with muddy boots after walking the dog! What to do? Well, the best option if you have the space is to build a porch to the front of your house. This will solve a number of issue in one.. 1) Keep the cold out from the rest of the house as it may be designed with a door to close behind you before you enter the house. 2) Keep you dry as you are taking off your muddy boots. 3) Keep the muddy boots out of your home! they are muddy and everything muddy stays in the porch! 4) A place to clean the dogs feet before you come inside? 5) Extra layer of security to your home if you decide to add a lockable door? 6) Valuable extra storage for coats, boots, umbrellas, hats and gloves which take up space in the entrance to your home. Easy accessible on your way out the door. What size should I build my porch? This all depends on what you intend to use your porch for? As we have mentioned, it may be a small porch for storing coats and shoes etc. You may want to consider building a larger porch which could store your commuting bike to work, or a pushchair? Planning permission will be required for a porch any bigger than 3m square, so bare this in mind when designing your porch. According to the Planning Portal installing a porch is usually considered to be a permitted development, and in most cases you will not need to apply for planning permission. It is important to note that these rules are only applicable to houses; please enquire for more information regarding permission for flats, maisonettes or listed buildings. What kind of flooring for my porch? When it comes to flooring, it is a good idea to go for something very hard wearing such as slate or a limestone tile for your porch. These stones are hardy and will withstand the muddy boots and constant outdoor weather. We would recommend a flagstone such as the Chollah Beige which is very dense and hard wearing and is suitable for outside use too. Slate is also a great stone for porches and come in black grey and green. Take a look at our grey slate flagstones as an idea for your porch. Slate cobbles are also a nice idea and will give your porch a stable look. The distressed faces of tumbled or antique-effect tiles immediately create a traditional, country-style look, and these Cholla limestone tiles are hand finished for the perfect lived-in feel. Mixing natural materials is a key look for interiors, and here the stone floor is paired with wood furniture for a relaxed scheme. Granite is available in a wide spectrum of colours, often with mineral specks or subtle veining. It comes in different finishes, but it is the polished form that fully reveals the colours and patterns. Slate is easily split into thin sections for a textured finish, which works well in wet areas. Colours range from blue and purple shades through to grey and olive green, and they often include rusty red markings. Interestingly, marble starts its life as limestone, but under certain conditions its components crystallise to form veins. In its purest form, it can be found in a wide range of other shades, from various greys through to green and black. Limestone comes in many tones, from nearly white to the more common warm honey, as well as rarer grey moroccan limestones and dark browns. Textures range from even-grained stones through to smoother types with fossils and coarser, open-textured varieties. Some can be polished to resemble marble. A common question we’re asked is, which is better, Natural stone tiles or porcelain tiles for my kitchen? Here’s a short guide to the pros and cons of the two types of flooring to help you make your decision. 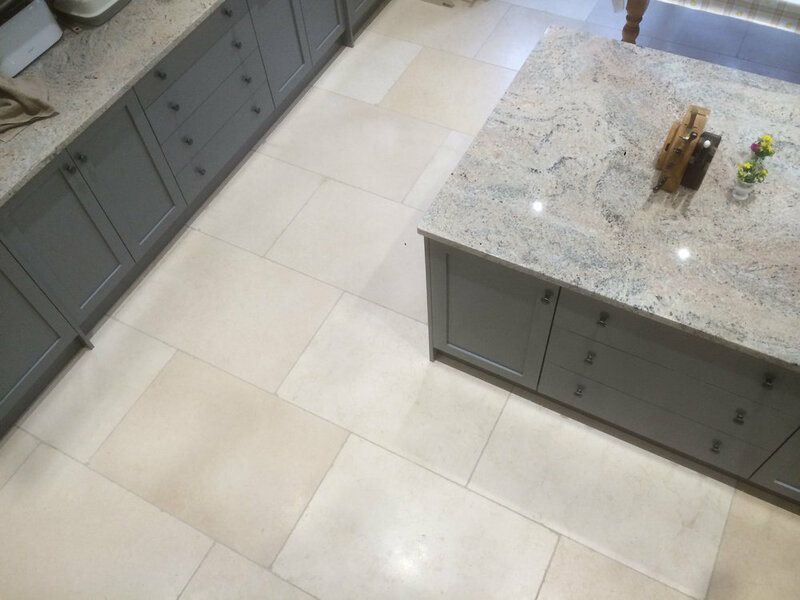 Limestone is a great material for your kitchen floor and when its installed correctly by professionals and maintained in the right way it will last a lifetime. Its fundamentally rock, so its durable and naturally tough. The textures and tones available allow you to choose something truly unique and totally suitable for kitchens. Natural stone does require attention and maintenance like all natural materials, but its worth it. Sealed correctly and cleaned with the correct cleaners, a good quality 1st grade stone will improve with age, like wood, or a good wine! Limestone flooring has warm tones which add texture and warmth to a room where as porcelain can be very cold and a little flat. Stone floor tiles have variety and texture making it very interesting to look at, sometimes with fossils and quartz pieces in them. Limestone is a very malleable material allowing the installer to curve and shape the stone over steps and around corners, almost sculpting the stone. Porcelain is very brittle and sharpto cut, not so easy to shape as it is typically very thin. Scratches can be repaired with graded sand paper, but most stones are hard and dense and wont scratch. Choosing a Stone for underfloor heating is simple too, just go for something 12mm or above. Natural stone is a great conductor of heat. Most of all, Limestone tiles are durable, sturdy, beautiful and totally unique. With a good selection to choose from and some good advice from a stone retailer choosing natural stone will be great investment. We recommend Natural stone tiles should only be installed by a professional installer. Some stones can be very porous and require sealing before installing for example. A professional will have the correct equipment and experience in laying natural stone. Sealing and maintaining natural stone is very important to the longevity of its life and appearance. We recommend your installer use a reputable stone sealer such as LTP Matt stone sealer or Lithofin Stainstop. Cleaning with related cleaners from the same manufacture is essential. Stone can stain if the stone if not correctly sealed. Porcelain tiles are a man made product and are fired at very high temperatures to created a clay based material. They are extremely hard wearing, sometimes bullet proof and come in all shapes and textures from modern honed tiles to stone effect textured tiles like Travertine effect porcelain, Concrete effect porcelain and the now popular Wood effect porcelain. Used for high traffic and commercial as well as domestic settings, porcelain tiles are the no nonsense option for some projects. Porcelain tiles are non porous and so do not require any sealing either before or after installation so they are a ‘take out of the box and lay’ product. They wont absorb red wine or grease unless they are left to sit for a long time maybe. All this said, they are a great choice for kitchens or commercial areas such as cafes and restaurants and high traffic areas such as hallways or the entrance to your house. Extremely durable and frost resistant. They are perfect for bathrooms and shower rooms walls and floors. They are very hygienic and resistant to bacteria which makes them really easy to clean in a kitchen. As with natural stone tiles, the porcelain tiles are to be installed by a professional to get the best result. They are extremely tricky to cut and require specialist equipment to achieve the best results. Porcelain tiles are very thin compared to natural stone tiles and tend to be around 8 to 10mm thick which delivers low heat conduction from underfloor heating compared to stone tiles. Although there are lots of different styles and colours on the market, porcelain tiles do not give the same unique look as natural stone. Even the better quality stone imitations are not as good as the real thing. Whether you’re hosting a dinner party, getting ready to go to one or just trying to figure out how you’ll get it all done this holiday season we have a few easy tricks to ensure smooth sailing. Black and orange for Halloween. Red and green for Christmas. Why not? It will help the whole family get into the spirit of the holidays and it’ll remind you what all the hard work is for. Add a festive table cloth or hang some fairy lights for that holiday feeling. Forget Spring cleaning, holiday cleaning is the way forward! Once you take stock of what you have and what you need it’s much easier to plan for holiday meals. Make a list of what you need as you’re clearing out so all that’s left is the shopping. Stress is high around the holidays so sometimes kids end up being left out. One great way to spend more time together and get a bit of extra help in the kitchen is to invite your kids to help. Get them to help out with the baking or setting the table. They’ll feel more a part of the celebration and you’ll get an extra set of hands helping. A win for everyone! Making the most out of your kitchen doesn’t always mean using it as much as possible. This seems like a no-brainer but if you don’t sit down and look at your calendar you might find yourself overbooked and dreading the holidays. It can be tempting to say yes to every invitation but you need to consider your own needs. Do you want to be in your kitchen rustling up food for guests every weekend or do you want some quiet time to yourself? Look ahead and book time for others (and yourself!). You don’t have to do everything. Ask your guests to bring a starter or dessert. Or better yet, ask them to help you cook. This will be a nice way to catch up informally before the big meal. It will take the pressure off you so you can relax and enjoy the process. And it might also help start conversation especially if people are from different social groups. The Cotswold Cream flagstone is a stunning limestone flag for kitchens and bathrooms alike. With its sandy fawn tones and buttery textured surface, the Cotswold Cream flagstone is one of our best selling stones. It is just 15mm thick yet very dense which means this flagstone is perfect for high traffic kitchens and ground floor spaces. It is also a frost tested limestone which means it can be laid as a flagstone for outside or landscapes. We have even use the Cotswold Cream limestone for swimming pools and swimming pool copings. For this month only Cotswold Cream is priced at just £48m2, meaning this flagstone is a great stone for covering large areas of ground floor space in your home. If you are unable to make any architectural changes to your property, ie put in windows or open up a room, then there are ways that can help breath light into a space. Paint colour - Paint colour can be so influential towards the atmosphere of a room. If the walls and furniture are dark, the space will immediately feel smaller. Whereas lighter colours will instantly bring space to a room. Cabinets - Alternatively if you know that light base cabinets wont suit you (they can mark easily), painting any wall cabinetry the same light colour as the walls can help blend them away and create a bigger sense of light and space, whilst maintaining a darker more practical colour at base level. In addition to the great suggestions Sustainable Kitchens made, we would like to add that one of the best ways to bring light into a room is using light toned flooring. We have a range of stones and oak boards that are both light yet hard wearing enough to cope with the kitchen setting. Natural Stone - Old White Limestone is our favourite hard wearing flagstone which is full of milky tones and soft grey flecks. Its proven to be so hard wearing that one of our clients told Cotswold Life that "I love my stone floor, it just never gets dirty!" This stone brings bags of light into a dark space from the floor up! reflecting ceiling lights back up into the room. Oak flooring - Our Rustic Oak flooring is hard wearing and a great light board designed to bounce light from all parts of the room. Its warm and natural feel to touch make it perfect for both country or modern kitchens. Electric v’s Water Underfloor heating? So you’ve decided to opt for underfloor heating to heat your new kitchen. The next question is electric vs water underfloor heating? Here are a few tips to help you make the decision. The beauty of the electric system is the ease and relatively inexpensive way of which it can be installed. The low profile nature of the cables means it can be installed in many applications, including small spaces and low ceilings. It is a ‘take out of the box and install’ product which can even be done by any competent DIYer. The electric system is also independent of your heating system as its electric, and it can be run on a timer for instant heat, were the water system takes much longer to get warm as its heating a large concrete screed. Electric underfloor heating is suitable for existing floors, concrete or wooden, top floors, such as bathrooms, and small to medium areas in kitchen diner spaces. So the most commonly asked question about electric underfloor heating is how much does it cost to run? These costs are only estimates and are based on the system being installed with 6mm insulation boards to the subfloor which is essential to reduce heat loss and maximize your running costs. Water, otherwise known as wet systems are best suited to a new concrete floor installation, either a new build or an add on extension. 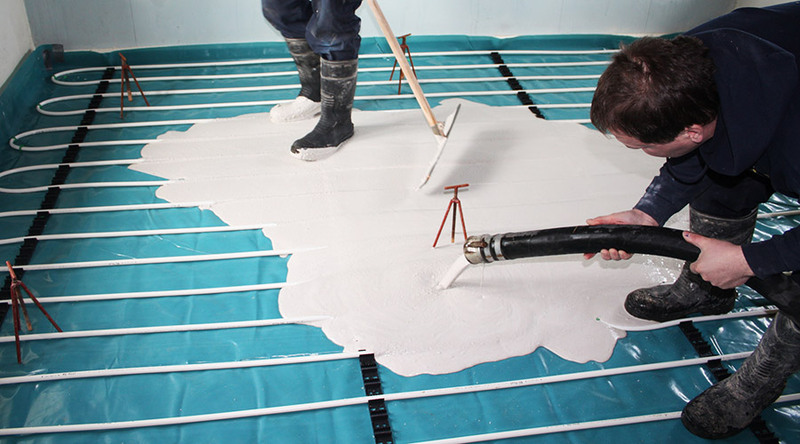 The reason for this is a wet system requires a deep screed of concrete to be poured over the heated pipes which in turn heat the screed when connected to the boiler. A typical floor requires 100mm of Celotex insulation, 15mm heating pipes and 65-70mm Cement based screed. It is possible to opt for a Anyhdrite screed which is just 50mm. Retro fit wet systems – There also retro fit wet UFH systems on the market which will (providing you have the ceiling height) go straight onto your existing floor. These are made up of modular boards with channels for the pipes to run through and returns at the ends, thus creating the flow of heated pipes back to a manifold the same as the above system. Boards tend to be 18mm thick, fixed to the ground either with screws or adhesive. Your chosen floor finish then goes straight on top.